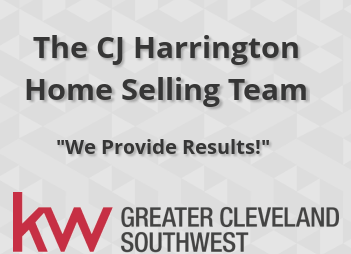 The CJ Harrington Home Selling TEAM is a Family Operated, Full Time, and Full Service TEAM of Realtors servicing Home Buyers, Sellers and Investors across Cleveland, OH. CJ Harrington is the TEAM founder, Lead Listing Specialist and a Co-Owner in our local Keller Williams Realty Great Cleveland Southwest office in Strongsville, OH. 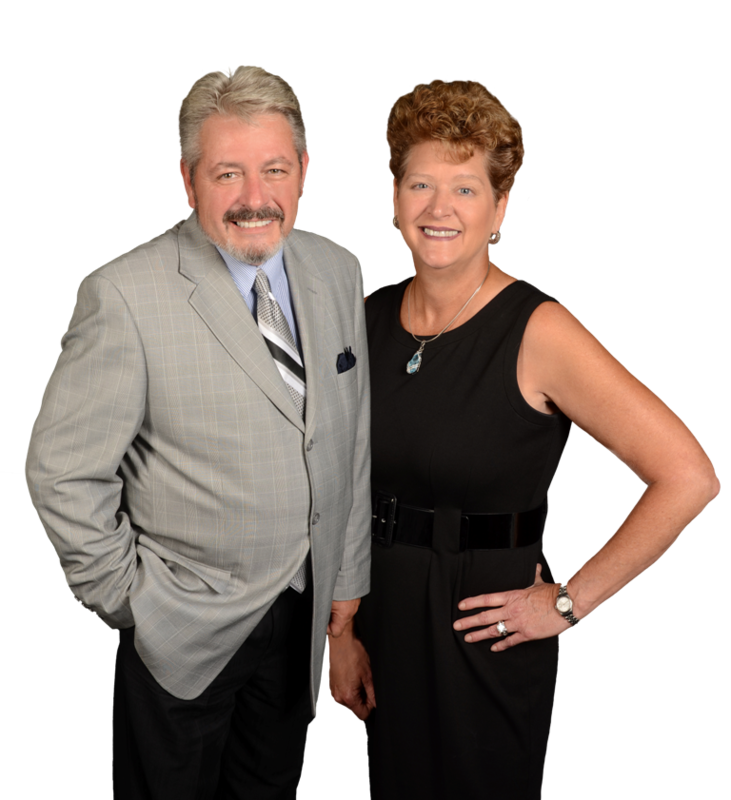 CJ’s renowned professionalism, sincere integrity and time tested results over his 36 year career in the Cleveland Ohio Real Estate Market have led to many successful home sales and satisfied clients. Throughout his 36 years in Real Estate, CJ Harrington and our TEAM have developed techniques, systems and tools necessary in providing our clients with the best customer service and professional expertise helping deliver the best results and experience available. You can expect to receive maximum buyer exposure through our aggressive physical and online marketing strategies. Your home will be well prepared for sale and ready to captivate each prospective buyer, online or in person, since we provide top industry technology, professional photography and accredited home staging to every client at no cost so their home can stands out as superior to its competition. You will receive prompt feedback after every showing, with a friendly, knowledgeable expert ready to make suggestions and answer any questions you may have in a timely manner. Most importantly, when it is time to negotiate an offer, you can have the peace of mind that you have chosen a seasoned professional to stand by your side. A Realtor who will offer you the best techniques and strategies to ensure you get top dollar for your home with the least amount of hassle, as you are smoothly guided through a complete and successful sale. Each member of our TEAM prides themselves in bringing you and every client we work for the best customer service and professional expertise available in order to provide the best results and best real estate experience in your lifetime. CJ Harrington prides himself in showing professionalism and sincere integrity to every client he has met throughout his career in real estate. He believes that continual education is pivotal in constantly providing this same high quality standard of customer service and results to every client we meet now or in the ever changing real estate markets of the future. CJ feels fortunate to have found a company like Keller Williams Realty, whose beliefs and standards are on the same page. Keller Williams Realty’s goal is ultimately to help build a real estate industry of professional, full time individuals in real estate rather than just a practicing public. Their nearly endless education and training materials have enabled our TEAM to grow exponentially, and have enabled us to provide many new clients like you with the same level of satisfaction and high quality results even through the tough economic times. Keller Williams Realty’s industry leading education and training have allowed our TEAM to not only survive but thrive in tough times. We have been fortunate to build many successful, long lasting relationships with satisfied clients too. Keller Williams Realty has the right philosophy. By helping Realtors learn the necessary skills to help their clients succeed, Keller Williams Realty has seen their Realtors succeed, which has brought the company success as well. Their Agent First Mentality has made Keller Williams Realty the fastest growing and now, the Largest International Real Estate Brokerage worldwide. In fact, even our local office, Keller Williams Realty Greater Cleveland Southwest ( at 18318 Pearl Rd. in Strongsville, OH 44136) now has the largest agent count of all real estate offices in Strongsville, OH. CJ Harrington and our TEAM feel so blessed to work for a company that cares for it Realtors, so we can care for our clients and help them succeed no matter what difficulties the local real estate market might send our way. 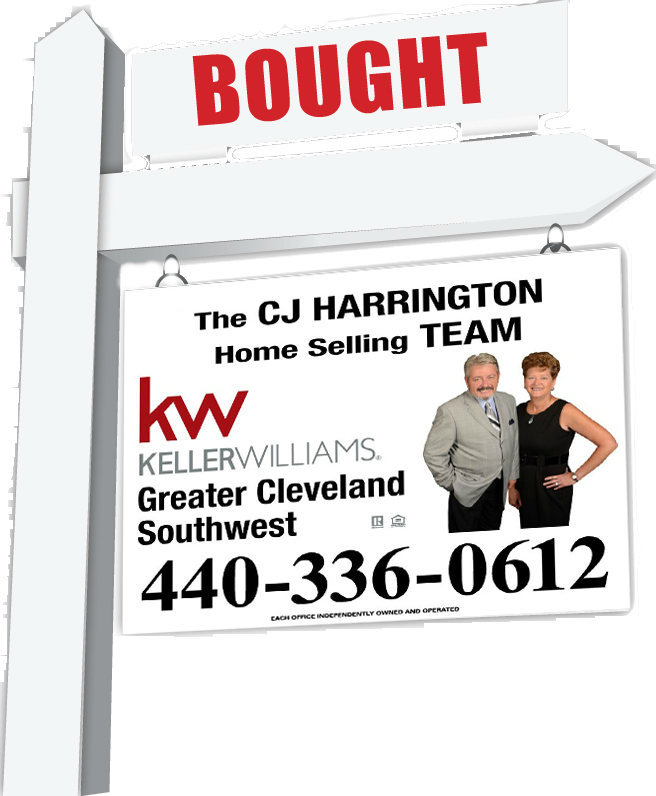 The CJ Harrington Homes Selling TEAM helps Home Buyers, Sellers and Real Estate Investors with all their real estate needs across the Greater Cleveland Ohio Area in Cuyahoga County, Medina County, and Lorain County. The CJ Harrington Home Selling TEAM consists of a Home Listing Specialist, Home Buying Specialist and Home Marketing/Staging Specialist. What this means is that we provide individual real estate services, unique to our Home Buyers, Sellers and Real Estate Investors. Our clients can be assured that they will receive the professional guidance and advice required in delivering the best results and experience available when working with our TEAM. Our Cleveland Ohio Real Estate TEAM has been developed to make sure our Home Buying and Selling Specialists only have one responsibility, satisfying each individual Home Buyer, Seller or Real Estate Investor's individual needs. Being a Real Estate TEAM has allowed for our Home Marketing Specialist to develop aggressive marketing strategies helping our listing clients receive top dollar for their homes with the least amount of hassle and in the least amount of time. Furthermore, since our Home Listing Specialist and Home Buying Specialists spend the majority of their time with only Home Buyers and Home Sellers, they are more in tune with each individual type of clientele, and their unique real estate service requirements, needed attention and the best advice to provide each type of client. Our Real Estate Agents have one job, to provide our clients with the best results and experience possible by making them feel they have received the proper attention, guidance and advice when buying or selling Real Estate in Cleveland, OH.